A small USAF write-up in the 1969 edition of Black Belt Times, A Report of The Martial Arts World. The USAF 2012 Renewal Packages have been mailed! All information is available online for instructors with your login and password. 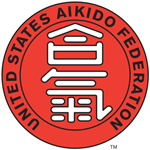 Other than the recent increase in 5th and 6th dan, all fees remain the same, along with the April 1st renewal deadline. Please contact the USAF administrative office if you have any questions as you proceed. Thank you for your continued support and membership.